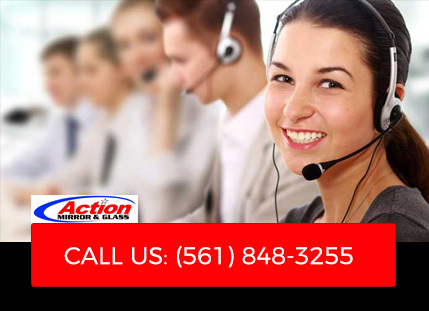 Action Mirror and Glass is known in the South Florida area as the company to turn to for commercial glass repair or restoration projects, no matter what the size. We can handle all your needs from a replacement glass pane to a skyscraper under construction. Merchants can lose business due to damaged glass. This conveys a subtle message to consumers about what is inside. It’s a well-known fact that customers will often avoid business establishments with an unsightly appearance. South Florida is an area that prides itself on appearance and we expect the same of the local businesses. Action Mirror and Glass can offer you the affordable solution to your maintenance issues and return your business to something you can be proud of. Call us today for a consultation and watch your building transform and your customers return. Action Mirror and Glass has the experience to analyze all your residential glass needs. If you have new construction or are replacing glass in your home, we will analyze the various options to find the solution that fits your needs and stays within your budget. Our Residential Glass Services offer an assortment of custom glass applications designed to improve the look and functionality of your home. From replacement glass to custom glass shelving, it’s all possible with Action Mirror and Glass. Whether it’s a new shower door, table top, or the perfect mirror to complete your project, Action Mirror and Glass will deliver beautiful results at an affordable price. We want to be your partner in this process and make your ideas come to life. No matter what your needs, we can make it happen!